jetzt braucht es Wasser, Wasser, Wasser. I am writing you to update you what is going on with our little village Pa Nor in Luang Prabang that all of you have been supporting. As part of the income generation, I have helped the villagers grow flowers since 2013 with horticulturists. The flower sold very well and now I just opened a flower shop – Malibarn – for two months now to buy the flowers from them. I attached a small film for your quick look. In a few weeks, I will send three experts to our village to plan for water irrigation system. This will be a long-term resolution for their flower plots. I have been supported by Mr. Pongrat and his wife for this initial assessment; however, we are still raising funds to help the villagers build the water irrigation. We are hoping to raise about 10,000 USD for buy sands, stones, pipes and water pump. I thank you all in advance of your very kindness and your continuous support for the kids‘ future. Wir freuen uns über Ihre Spenden an das Stiftungskonto —> hier! 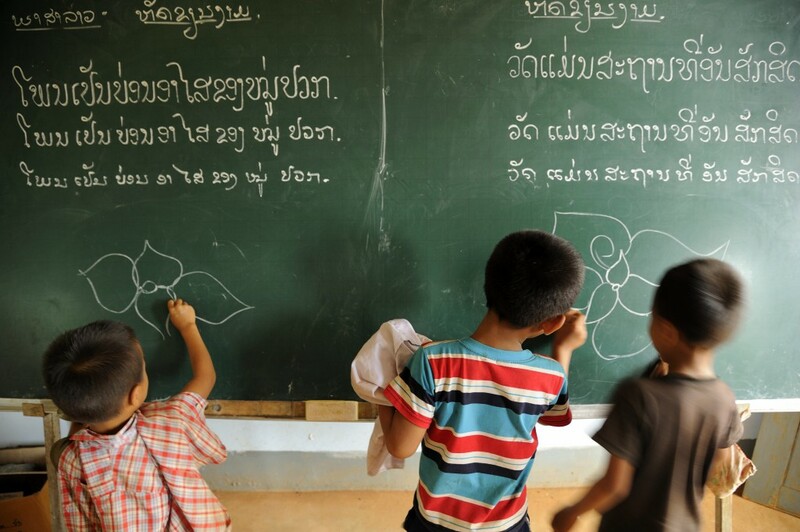 Dieser Eintrag wurde veröffentlicht in Artikel, Ban Pa Nor und verschlagwortet mit Ban Pa Nor, bildung für kinder in laos, bildung für laos, bildung in Laos, Bildungshilfe, education for life, Entwicklungshilfe als Selbsthilfe, Entwicklungshilfe von unten, kinderhilfe, Kinderhilfe Laos, Laos, Luang Prabang, mein persönliches konzept, mekong, Schülerhilfe Laos, Schulhilfe Laos, Spenden von Adolf Stoll. Permanenter Link zum Eintrag.